There’s no question about it- the workspace is radically changing. Gone are the days of claustrophobic cubicles and imposing corner offices. Today’s forward-thinking companies are deconstructing these traditional notions of what a workspace should look like and adopting innovative designs that break with convention. They are pushing the boundaries of office innovation to design workspaces that are healthier, happier, and more productive than ever before. Research suggests that in the coming years, companies will begin to prioritize workplace well-being over workplace wellness to create more holistically healthy workspaces. Hybrid working environments offer employees a mix of enclosed and open workspaces that are available for employees on an as-needed basis. 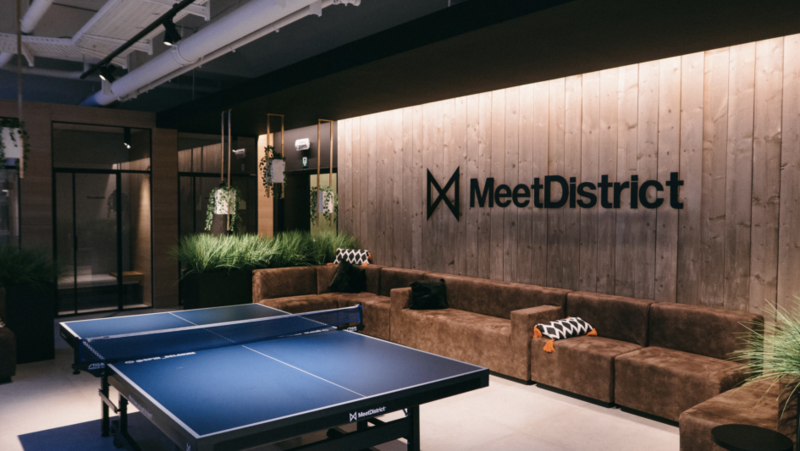 Forward-thinking companies are broadening their conception of collaboration spaces to include huddle rooms, game rooms, cafes, lounges, and even the kitchen. Present a new perspective in design with commercial carpeting that defines the space in a whole new way. For over 35 years Eagle Mat & Floor Products has been providing sales, installation and cleaning of commercial flooring products to Corporate, Education, Hospitality, Government and the commercial real estate community. It’s easy to contact us, and we’re happy to help. You can always call us at (301) 762-2000 or email us at sales@eaglemat.net for more information.